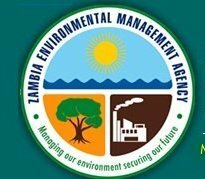 The Zambia Environmental Management Agency (ZEMA) has charged Lusaka City Council for failure to fully comply with site restoration orders issued early this month. On August 1, ZEMA ordered LCC to remove waste in parts of Garden, Kanyama and Misisi townships and the town centre and restore the sites to a satisfactory condition. The Council was also ordered to take action that would prevent the continuation of disposal of waste at the stated sites. Two counts for the offence of failure to comply with Site Restoration Orders issued in respect of Misisi and Kanyama sites respectively contrary to Section 60 subsections (3) and (4) of the EMA,” Corporate Affairs Manager Irene Chipili said in a statement released Friday. “In addition, pursuant to Section 126 of the EMA, Mr. Alex Mwansa and Mr. Edgar Mulwanda have been charged in their official capacities as Town Clerk and Director of Public Health at the LCC respectively. To this end, the two stand charged together with LCC with four counts as above.